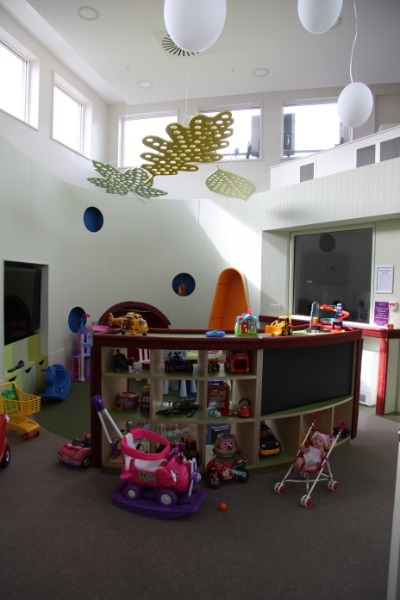 The Friends are delighted to announce the opening of new Children's and Adolescent Play Area at St Luke's Rathgar. 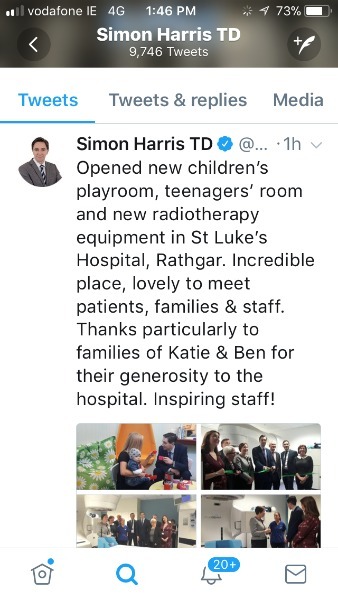 St Luke's Hospital is the only centre in Ireland that provides Paediatric Radiation Therapy. 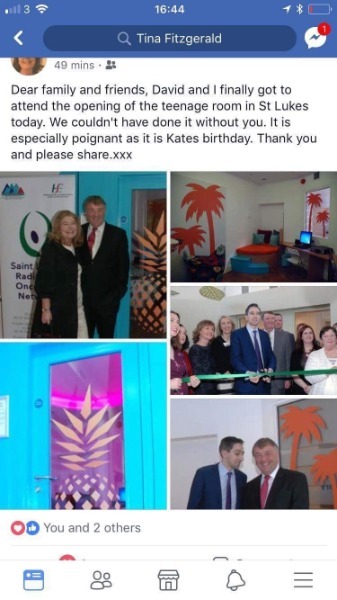 Minister for Health, Simon Harris, cur the red tape on the new area that is part of the wider St Luke's Radiation Oncology Network (SLRON). 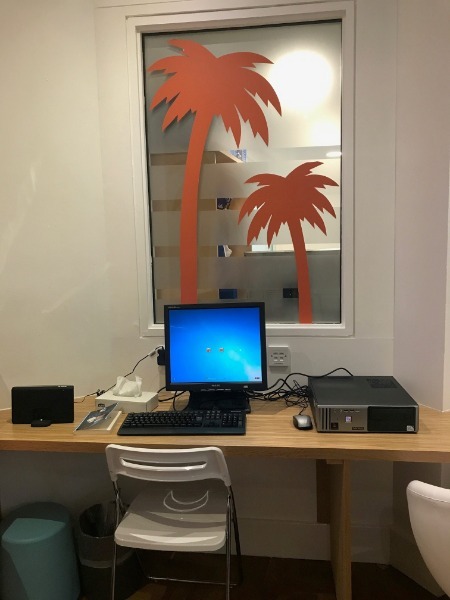 The treatment regime can require very young patients and their patients to spend several hours each in the Radiotherapy Department. 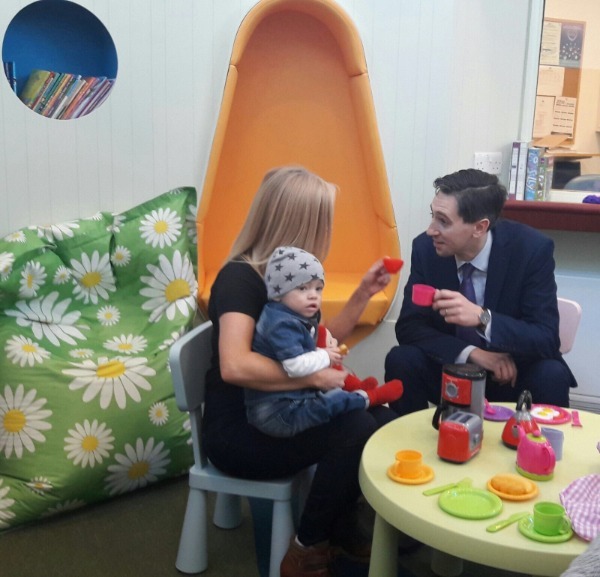 Whilst toys were previously available, there was no child-friendly indoor space for children to occupy while they waited for their treatment or while being monitored post treatment. 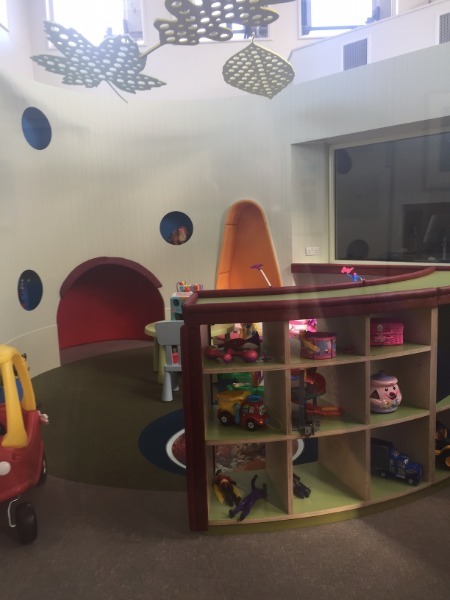 In 2015, a multi-disciplinary group was established to develop an indoor play area within the Hospital. 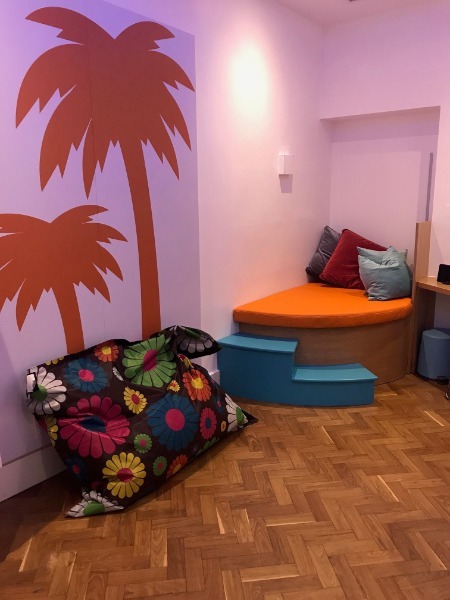 The group also worked to develop an adjacent ante-roon as an adolescent area, in recognition of their differing needs from younger children. 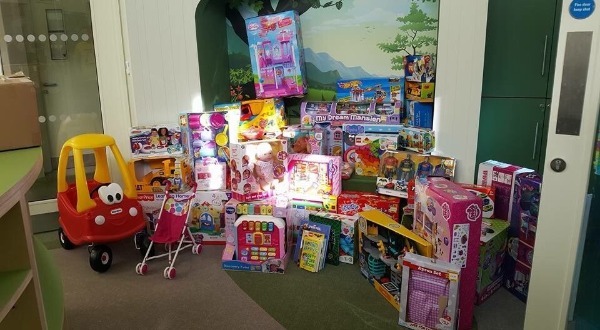 Several families contributed to the project and provided an extensive range of toys and equipment. Amongst these families were David and Tina Fitzgerald, parents to Katie (16) who was treated at St Luke's but sadly passed away in 2007 - they organised a Black-Tie Ball to raise funds for the adolescent room. 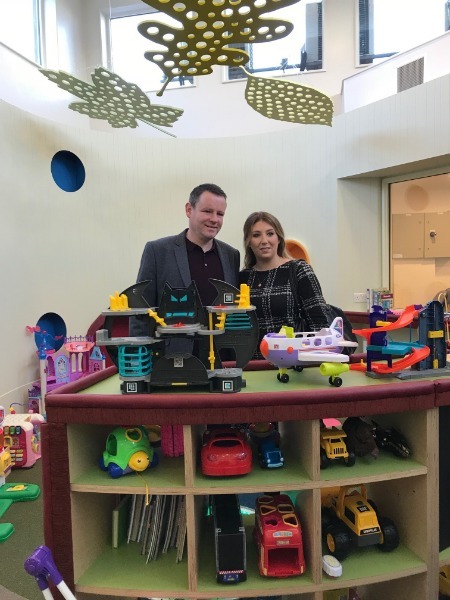 Alan and Valerie Farrell, parents of Batman Ben (5) who was also treated at St Luke's but who sadly passed away in August last year, donated all the toys for the playroom. 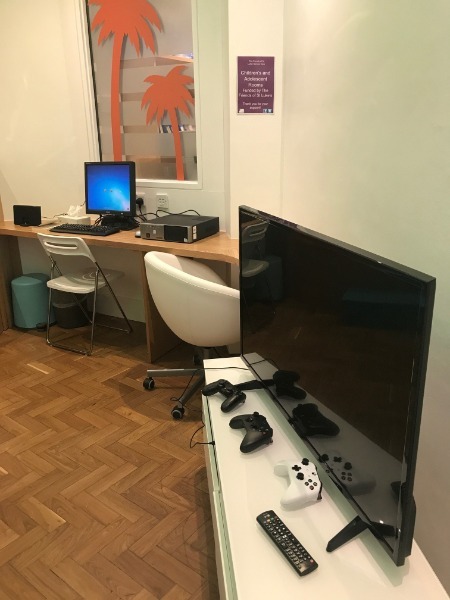 We can't thank the families and all our fundraisers throughout the country for making this dream a reality for all our younger patients - THANK YOU! !